Champions Chennaiyin FC score first ISL-5 win, a 4-2 at FC Pune City! 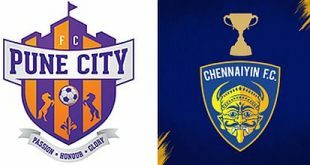 2018-11-06	Indian Super League Comments Off on Champions Chennaiyin FC score first ISL-5 win, a 4-2 at FC Pune City! India Women arrive in Myanmar on Diwali Eve for 2020 Olympic qualifiers! 2018-11-06	Asia, Team India Comments Off on India Women arrive in Myanmar on Diwali Eve for 2020 Olympic qualifiers! VIDEO – 442oons: Arsenal FC 1-1 Liverpool FC – Goggle in the Box (Parody)! 2018-11-06	England Comments Off on VIDEO – 442oons: Arsenal FC 1-1 Liverpool FC – Goggle in the Box (Parody)! I just love to watch the 442oons and their funny take on football and its matches! In the 442oons of the day for OneFootball is a parody review of Saturday’s English Premier League match between Arsenal FC and Liverpool FC which ended in a 1-1 draw. Aizawl FC to host NEROCA in 12th I-League’s second Northeastern Derby! 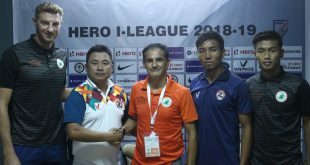 2018-11-06	I-League Comments Off on Aizawl FC to host NEROCA in 12th I-League’s second Northeastern Derby! FOX, HOK & Brighton FC to speak at iSportconnect’s Dubai Summit! 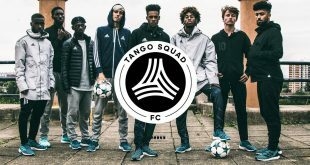 2018-11-06	Asia, Conferences Comments Off on FOX, HOK & Brighton FC to speak at iSportconnect’s Dubai Summit! 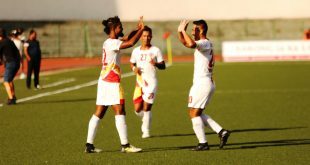 VIDEO – I-League: Shillong Lajong FC 1-3 East Bengal – Goals! 2018-11-06	I-League Comments Off on VIDEO – I-League: Shillong Lajong FC 1-3 East Bengal – Goals! Kolkata giants East Bengal Club showcased a second successful professional performance away from home and on the hills of the NorthEast, when they emerged 3-1 winners over Shillong Lajong at the Jawaharlal Nehru stadium in Shillong, Meghalaya. Watch the goals of the match above! Jamshedpur FC honour the winners of the RFYS football tournament! 2018-11-06	Indian Super League Comments Off on Jamshedpur FC honour the winners of the RFYS football tournament! 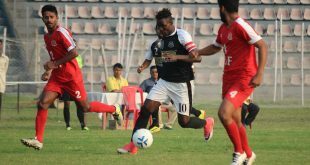 2018-11-06	Second Division League Comments Off on Mohammedan Sporting beat BSF – Jalandhar on penalties to reach Bordoloi Trophy final! VIDEO – Mumbai City FC: Rapid Fire – Joyner Lourenco! 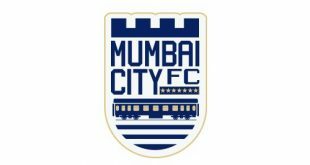 2018-11-06	Indian Super League Comments Off on VIDEO – Mumbai City FC: Rapid Fire – Joyner Lourenco! Get to know the newest Mumbai City FC player! Catch Joyner Lourenco in a rapid fire conversation with TheIslanderCam.